The Burton Infinite Ride Liner used to be in the upper end boots but now they have the softer Life Ride liner. If you want more response and flex retention the Infinite ride should help. However it takes a lot longer to break in and eliminate hot spots. I did like it with boots like the Almighty and Imperial that have softer liners in there. 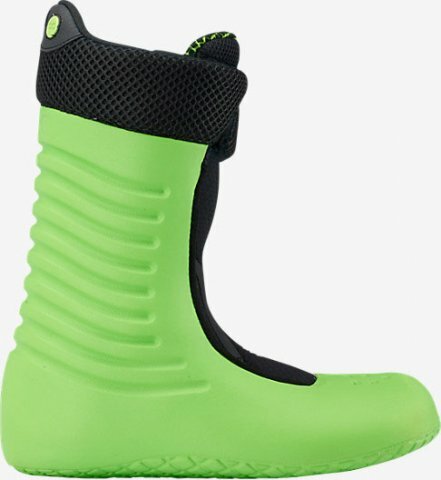 Actually all 2017 Burton Boots now have the softer liner so the Infinite Ride Liner can work if you ride a lot each year and want to retain your boots flex longer. Size 9 Infinite Ride Liner vs. Burton Almighty Liner that’s also similar to the SLX and Ion Liner too. We try to get as many images of the Burton Infinite Ride Liner, but forgive us if they're not all there.